Sicily is where The Thinking Traveller started. When we launched Think Sicily in 2002, we pretty much invented the luxury villa rental market in Sicily. 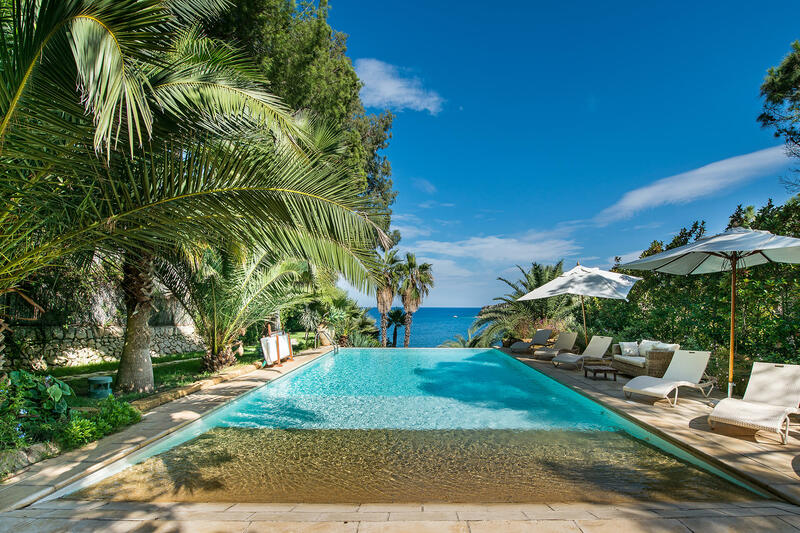 Now Sicily is one of Europe’s most sought after villa destinations and we offer you exclusive access to the pick of the most desirable luxury villas in Sicily. We also have unrivalled local knowledge and a locally based team of passionate Thinkers to smooth your way. Traveller Readers' Travel Awards in 2016, 2017 and 2018. Book flights to the most desirable villas in Sicily and discover everything you need to know about getting around the Mediterranean’s largest island. If part of your holiday planning involves leafing through possibly the most beautiful villa brochure out there, request our 2019-2020 edition now. 512 pages showcasing 206 of the most desirable villas in the Mediterranean. "We love coming to Sicily. Everything during our stay at in Sicily was great: location, quality of the villa, private beach, fantastic views. And what a great welcome by the owners." "We really enjoyed the food and drink! The scenery was out of this world, we thought Sicily was so beautiful. We also loved the fact that it is filled with so much history!" Sicily’s complex history and its geographical position at the heart of the Mediterranean Sea have left a profound mark on the island’s architecture, landscape, culture, and customs but nowhere are these factors more evident than in the island’s multifarious and mouthwatering food and wine. Let us show you round the charming streets of picture-perfect Taormina, the mediaeval centre of Cefalù, the bustling markets of Palermo, the baroque masterpieces of Noto and Sicily’s many other fascinating cities and towns. The Phoenicians, the Greeks, the Romans, the Vandals, the Byzantines, the Arabs, the Normans, the Swabians, the Bourbons, the British, the Spanish… They’ve all played a role in Sicily’s complex, and utterly compelling history.